Aerial photograph of Taal Church taken in 1939. Image source: United States National Archives. The photograph above was taken by an aircraft flying from Nichols Field (present day Villamor Air Base) on 27 December 1939. This was less than two years before the Japanese attack on Pearl Harbor, followed in a matter of hours by an attack on American military facilities in the Philippines. The picture has been downloaded from the United States National Archive and is captioned “Batangas, Luzon Island, P.I. 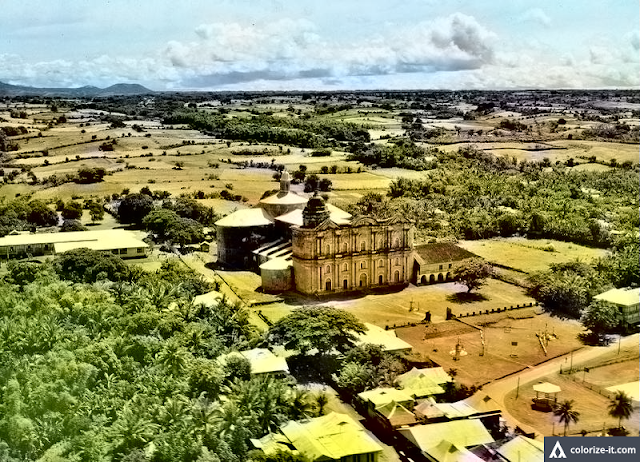 (for Philippine Islands), Taal Church, largest in the Philippine Islands.” The original has been enhanced using graphic software to lighten dark areas and improve sharpness, then colorized courtesy of Algorithmia. For comparison, below is the same area as seen on Google Earth. Poblacion Taal, Batangas seen on Google Earth, with Church right in the middle. 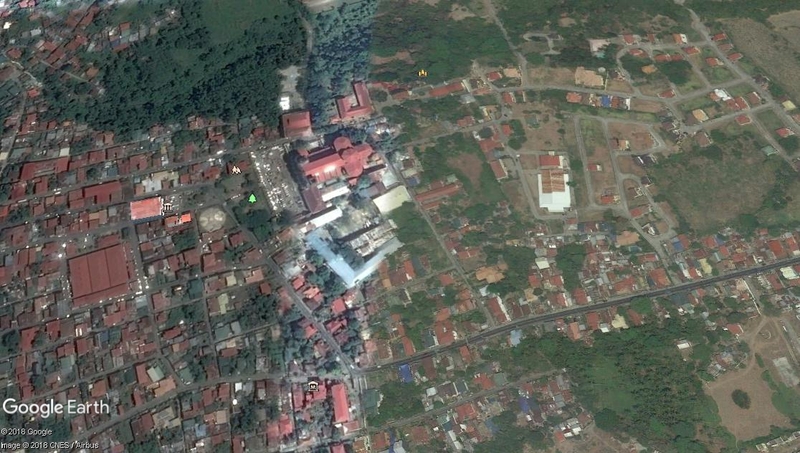 Image source: Google Earth.